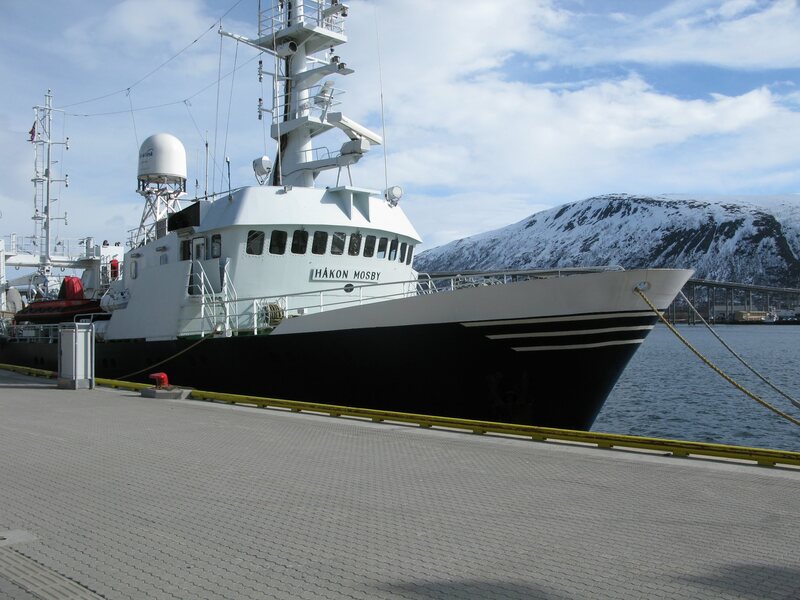 Skidaway Institute scientist Marc Frischer is beginning a research cruise in the Barents Sea. Here is the first of his reports. The cruise starts! We’re on the hunt for the enigmatic but globally significant algae Phaeocystis. We head north to the ice shortly aboard the Norwegian Research Vessel Hakon Mosby. I’ll try to update as I can. 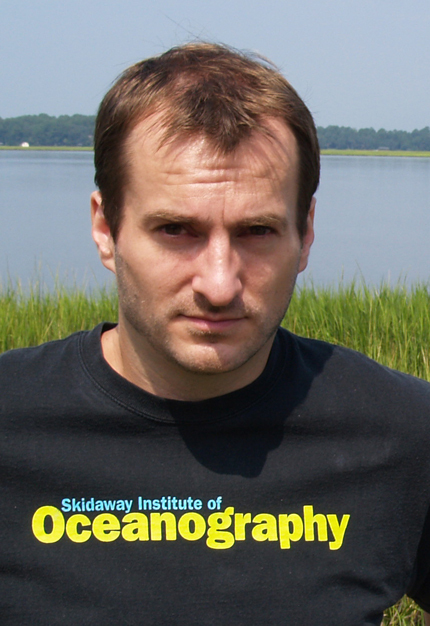 The Skidaway Institute of Oceanography scientist Clark Alexander will present an informative and visual program on threats to the Georgia Coast in an “Evening @ Skidaway” reception and lecture on Tuesday, May 21, on the campus of Skidaway Institute. The program will begin at 6:15 p.m. with a reception at the University of Georgia MAREX Aquarium to be followed by the science talk at 7:15 p.m. in the McGowan Library Auditorium. 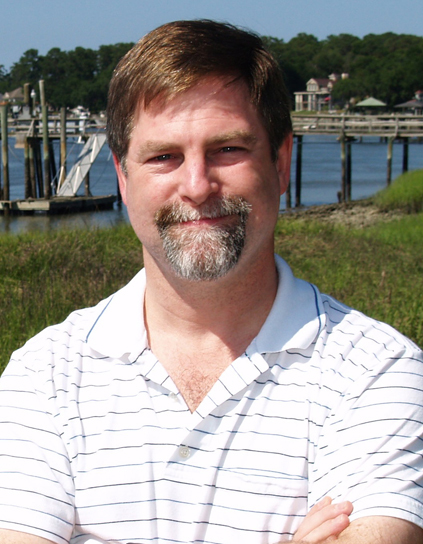 Alexander’s talk is titled, “Coastal Crystal Ball: A Look at the Future of Georgia’s Changing Coastline.” Drawing on two decades of work in the area, Alexander will discuss coastal hazards relevant to Georgia, such as storms, beach erosion and sea level rise. He will introduce the Georgia Coastal Hazards Portal, a web-based tool that anyone can use to assess their specific exposure to coastal hazards, and present up-to-the-minute results of ongoing research to better quantify coastal Georgia’s hazard vulnerability. The reception will include a demonstration of the Georgia Coastal Hazards Portal display located at the Aquarium. Seating is limited. Please reserve seats by calling (912) 598-2325 or email to mike.sullivan@skio.usg.edu. An “Evening @ Skidaway” is sponsored by the Skidaway Institute of Oceanography and the Skidaway Marine Science Foundation. Black carbon, formed from the burning of biomass and fossil fuels, may account for as much as ten percent of the carbon transported by rivers into the ocean and play a significant role in controlling the balance of two of the most important carbon pools on earth – the soil and the ocean. This is the finding of a group of scientists, including Aron Stubbins of the Skidaway Institute of Oceanography. This research will appear in the April 19, 2013 issue of the journal Science, published by the AAAS, the science society, the world’s largest general scientific organization. See http://www.sciencemag.org, and also http://www.aaas.org. Black carbon is organic material that has been altered by heat or combustion, such as the remnants of forest fires or burning fossil fuels. The burning of biomass generates between 40 million and 250 million tons of black carbon every year. Part of that is preserved for thousands of years in soils and sediments where it makes up approximately ten percent of the total carbon there. Another portion is picked up by drainage and carried by rivers to the ocean. According to Stubbins and his colleagues, as much as ten percent of the carbon dumped by rivers into the ocean may be this black carbon. This movement of black carbon involves two of the Earth’s three main stores of reactive carbon — in the soil and in the dissolved phase in the ocean. Both are approximately the same size as the third store – the carbon in the atmosphere, in the form of carbon dioxide. Black carbon is fairly stable in the marine environment, especially in the deep ocean. However, near the surface black carbon is very photo-sensitive. So when it is exposed to sunlight, it will degrade rapidly. When exposed to sunlight, the relatively complex black carbon molecules break down into smaller molecules, including carbon dioxide. The CO2 is dissolved in the ocean water where it can be utilized in photosynthesis by microscopic plants called phytoplankton. It can also be released into the atmosphere as part of the constant exchange of gasses between the atmosphere and the water at the ocean surface. This degradation of black carbon in the surface ocean is apparently happening at a fairly rapid rate. The data in this project suggests that the Earth’s rivers are dumping much more black carbon into the ocean than can be found there. Stubbins continued, if that black carbon had remained in the soil, it would have remained stable for thousands of years. The Science article is titled “Global Charcoal Mobilization from Soils via Dissolution and Riverine Transport to the Oceans.” The lead author is Rudolf Jaffé from Florida International University. In addition to Stubbins, the co-authors include Yan Ding, also from Florida International University; Jutta Niggemann and Thorsten Dittmar from the Max Planck Research Group for Marine Geochemistry; Anssi V. Vähätalo from the University of Helsinki; Robert G.M. Spencer from the Woods Hole Research Center; and John Campbell from the U.S. Department of Agriculture Forest Service Northern Research Station.